What difference does a portable ice rink have to a permanent one? A portable or eventual ice rink is designed to have a faster assembly, and easily removable. A permanent ice rink requires a much larger project, and in general, the pipe is covered by a special concrete layer that has a curing time. A permanent rink is much more complicated to disassemble. Can I install a portable rink for a long time? Without a doubt. The Very N'Ice, freezing system, exclusive and patented, is similar in both permanent and portable rinks. The advantage of installing a portable rink for a long time is that it can be dismantled in a few days and free up the space occupied for other activities. Why should I choose Very N'Ice having so many other companies? +> Our exclusive freezing system ensures an electrical consumption of at least 40% less than any other traditional system, which is practically used by all companies. +> Our ice rinks are thermally insulated both in the refrigeration floor and in all the pipes, and there are no elements outside the perimeter of the rink. +> We do not have standard rinks, but each project is an own design in itself. +> Our machinery is much smaller, consumes less and makes less noise. +> Our rinks can work in extreme conditions and water never comes out of the barriers, nor condenses moisture underneath. So we can install a rink on a terrace or on a parking lot. How much does an ice rink cost? It depends on several factors: the size, whether it will be permanent or portable, whether it will be outdoors or indoors, the type of perimeter barriers and additional accessories that you want. In general, a semi-permanent (portable) ice rink costs between € 100,000 and € 240,000. A permanent ice rink track costs between € 150,000 to € 600,000 (for a Professional Ice Rink). The prices vary according to the project. Keep in mind that all our rinks include skates, lockers, benches and counters, in addition to all the human resources and machinery necessary for assembly. These concepts, which we give as a complete project and turnkey, working, are "optional" in companies of the competition. At the end of the account, our proposal is ALWAYS CHEAPER, without counting that you will save more than 40% of electricity power compared to traditional systems. Let's try and ask us for a quote! What's included in a Very N'Ice Ice Skating Rink? > Roxa ice skates of all sizes (the quantity is, in general, twice the capacity of the ice rink.) For example, for a 450 m2 track, 150 pairs of skates plus 20 pairs of double blade skates are included for children). > Lockers for the skates (each one hosts 20 pais). > Elements for the manual maintenance of the ice in the case of ice rinks up to 300 m2, and additionally, the machinery for the maintenance of major sizes rinks. > Depending on the size, a number of bears to help skating, which varies according to the capacity of the track. > We also include helmets in a quantity due the capacity of the track. Who installs the Ice Skating Rink? Our specialized technicians will take care of all the assembly tasks - and if necessary, also the disassembly. They will also leave the rink running completely with its perfect ice sheet and ready to skate. Do I need special trained personnel to manage the Ice Rink? Very N'Ice will take care of training your personnel, both for daily operation and operation, as well as maintenance procedures and control routines, we will explain step by step how is the process of dealing with users, the necessary marketing, ideas for sponsorships, etc. It is not necessary for you to have a specialized technician, because in the event of any failure, we have a 24/7/365 support service available. If the power is gone, how long does it take for the Ice Rink to melt? Of course it depends on the weather and whether the ice rink is outside or indoor. The iced floor begins to get wet in general after 3 to 4 hours without power, but still patinable. After that time, there will be water on the ice and skating is not advised. Can I install a portable ice rink on a swimming pool or a tennis court? Definitely. For this, a structure that sits on the bottom of the pool or pond will be assembled, which will be removed when the rink is dismantled. Obviously it has an additional cost. On a tennis court there is no problem, and it is not necessary to do anything in particular. What are the requirements to install a rink, whether permanent or portable? What is the electric consumption of a Very N'Ice Ice Rink? It always depends on the outdoor temperature conditions, and whether or not it is located indoor. We assure you in writing that the consumption will be at least 40% less than any other installation made by another company. As the value of electric power varies from place to place, we can not economically quantify this consumption, but, for example, for a 450 m2 ice rink, working at full power, the measured consumption is about 80 Amperes, with three-phase current of 380 Volts. What guarantee does a Very N'Ice Ice Rink have? The ice rink itself has a 2 year warranty. The machinery, having carried out scheduled maintenance, has minimum of a 1-year guarantee. These warranties do not include the wearing or breaking of skates, helmets or accessories. What maintenance does the ice rink or machinery need? The ice rink only needs to keep the ice in good condition, as explained on this site. The machinery needs a periodic review every 6 months, which consists of checking the oil and refrigerant gas levels. It is advisable to check the hydraulic connections every 3 to 5 years to ensure there are no leaks, check the quality of the ice and adjust the pipes. In some cases, there may be a need to thaw the ice rink and make the ice sheet again. Very N'Ice will provide you with all the data and technical manuals of the machinery, as part of the documentation of your ice rink. And, if required, we can send a technician to perform the maintenance. How long is an ice rink and machinery? Having complied with scheduled maintenance, a semi-permanent ice rink lasts more than 15 years. In the case of a permanent ice rink, with the pipe inside concrete you can work much longer than that. Can I turn off the machinery at night to save electricity? No. The chiller should always remain on, just like the hydraulic pump. Our staff will set the machinery so that the ice be perfect for the use all the time. As if it were a refrigerator or an air conditioner, the chiller will work automatically by turning on one or both compressors, depending on the computer that has incorporated it. 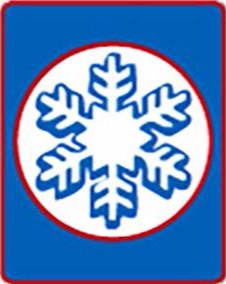 It is normal that in winter times the machine is turned off completely, because the ice does not require refrigeration, and will turn on automatically when needed. The hydraulic pump will always be in operation, regardless of the chiller. At what room temperature can a Very N'Ice Ice Rink operate? If the ice rink is located outside, it is advisable to repair it from the direct sun and the wind, because the chiller will endeavor to maintain the set temperature, and will increase the electricity consumption. In general, we recommend that an ice rink outdoors work at less than 24ºC, ideally less than 18ºC. In an indoor installation - be it a tent or a closed room - we have no limitations in this aspect, and we have made installations without problems with ambient temperatures of up to 42ºC. How many people can skate at the same time? They are considered about 3 m2 per skater, so on an ice rink of 450 m2, 150 people could skate at the same time. It is in the discretion of the owner to allow more or fewer people to skate, if there are many children inside the ice rink, who will generally use the Bears to help skating. Should I have personnel inside the ice rink? We advise yes. Ice rink monitors regulate and ensure that users do not do anything that is not allowed, move in the right direction, help those who are just starting or it's their first time skating on ice. How are skating sessions controlled and how long? In general, the sessions last between 20 and 45 minutes. They are controlled by allowing users to enter by turns. It is also normal to have season tickets or monthly passes, free shifts without time limits, or even, in the case of a celebration or a birthday, to leave the ice rink exclusively for those customers. How much does a skating session cost? This also varies from place to place and from country to country. The usual thing is that a turn of skating costs the same as a movie ticket, but there are countries where they are much more expensive. Also some clients charge differently between children and adults, or they do "combos" if a father enters with a child. There are ice rinks that have different rates during the mornings (where less people always come) and on the weekends (when there is a lot of public). All this depends on you, who will determine the values. How much can be earned with a Very N'Ice Ice Rink? In an ice skating rink there is a series of extra income for apart from the tickets at the box office itself. We will be happy to help you, share our experience of years of ice rink management and advise you in each area, so that your ice rink be the most profitable, and amortize much sooner than what you imagine. It is our business, we know it thoroughly and our entire Operational, Commercial and Marketing team is at your disposal. Do not hesitate to contact us to resolve your doubts or concerns. How much space do I need to install a Very N'Ice Ice Rink? In addition to the surface of the ice rink itself, you should consider about 35 m2 outdoors to install the machinery and gadgets necessary for the operation. Likewise, around the perimeter there should be a corridor about 2 meters wide for the circulation and location of the public attending the event. On the other hand, consider an area of ​​about 40-50 m2 (depending on the size of the ice rink) for customer service, locker, skate lockers, counters and benches for the shoe changer. Very N'Ice offers financing for the purchase of an ice rink? No. The payment method is agreed upon at the time of the contract, but we can advise you as to renting and leasing possibilities with some companies that do this exclusively in Spain. In which countries can you install an ice rink? We do not have limitations in that sense. We have our own facilities and staff in South America, where the facilities of the American continent are centralized, as well as our headquarters in Andorra, and Spain for everything that is Western Europe. On the other hand we have our own headquarters in Bulgaria, where the facilities of Eastern Europe are managed. From these operational centers, we arrived without problems to countries in the Middle East and Africa. Can your ice rinks be enlarged if necessary? Absolutely. All our tracks are modular, and it is easy for us to carry out any modification, either to enlarge or shrink a track. If that were the case, one would only have to add the necessary parts and adapt the machinery system. Can you modify my purchased ice rink to another supplier? In principle, YES. We must see and study the modifications that surely should be made in the cold system, because that is the essence of the difference with our competition, and verify the machinery that has installed. We can ensure that any ice rink modified by Very N'Ice, will have the same performance, quality and economy as our original facilities, with savings of more than 40% in electricity consumption and unparalleled ice quality. How long does it take to manufacture and install a Very N'Ice Ice Rink? Normally, since we started the design and manufacturing process, we take about 12 to 14 weeks. The installation, depending on the type of ice rink and size, can be between 7 days for a semi-permanent ice rink, up to 30 days for a permanent ice rink - apart from the setting time of the concrete. If, instead of concrete, sand were used on the floor of the fixed track, that time would be ignored. Can I rent a Very N'Ice Ice Rink? Absolutely YES. Although it is not our main business objective, we have standard rental ice rinks, with all the advantages of our sales ice rinks. Please contact us to analyze your needs and make a concrete proposal. Please note that our rental ice rinks are limited, and also require the completion of a specific project, so we suggest having a time not less than 3 months from the desired rental date. Very N'Ice has ice rinks or used machines for sale? It is not the most frequent, but sometimes we have portable ice rinks that have had only one use, or reconditioned chillers to new with warranty to be used in ice rinks. Please contact us to consider your needs. I still have doubts that are not here answered. We are at your complete service to resolve any questions or concerns that may arise. Please contact us ad we will reply you immediately, no matter where you are.